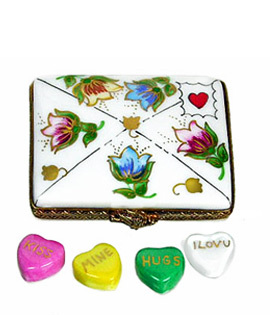 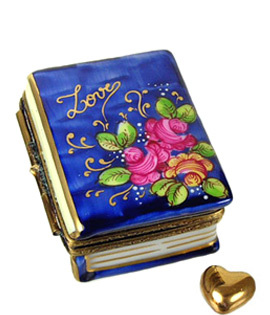 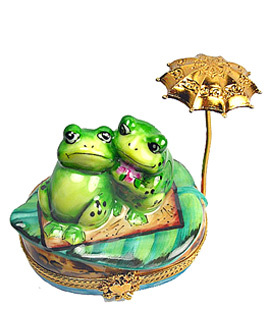 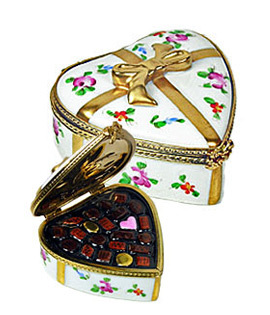 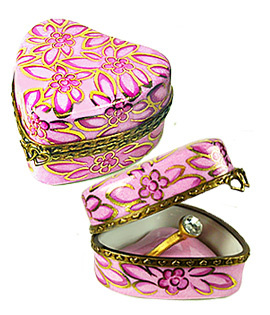 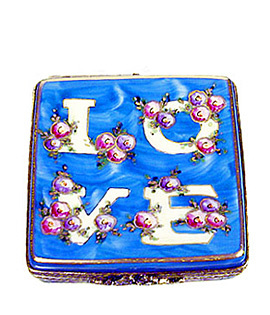 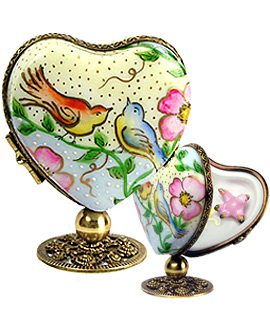 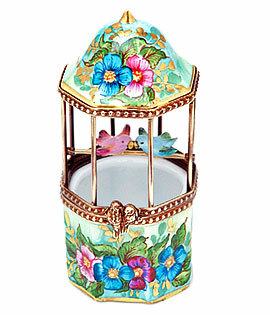 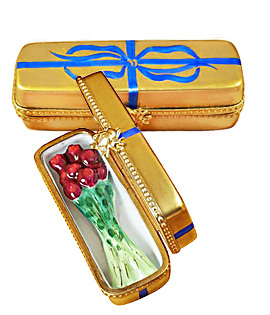 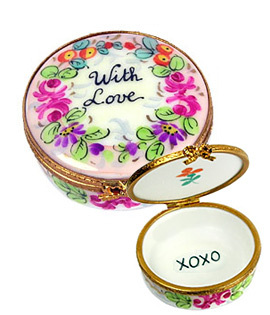 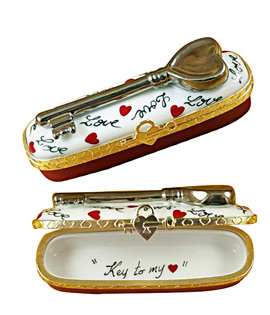 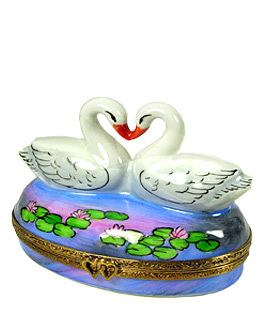 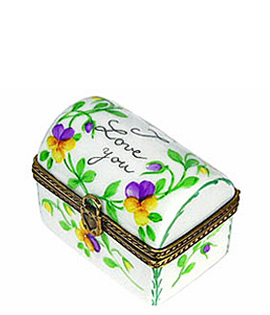 If you're searching for a perfect way to say "I love you" nothing will do it in quite so lovely a way as a beautifully hand painted Limoges box! 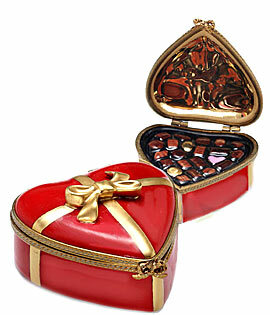 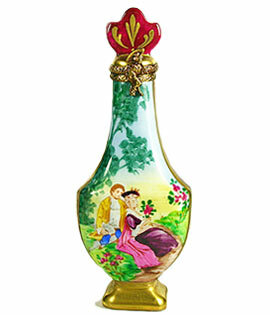 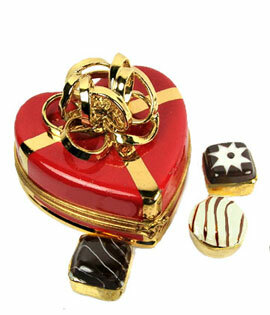 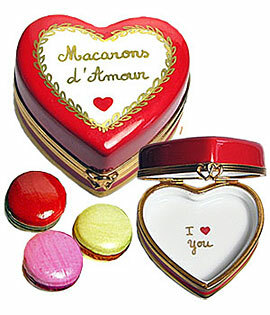 A selection from our Valentine, Love and Romance collection will be sure to steal the heart of the one you love. 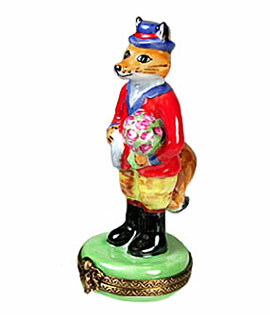 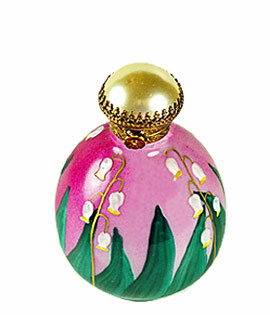 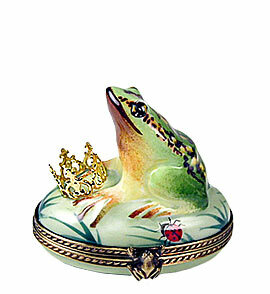 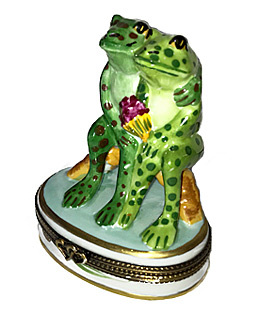 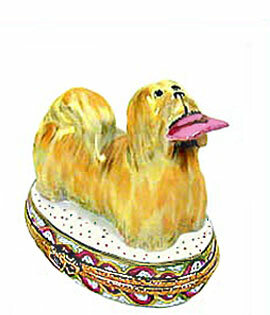 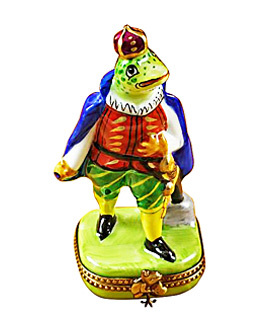 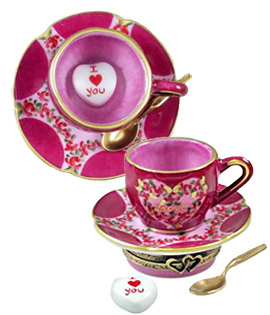 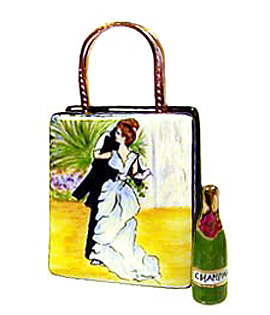 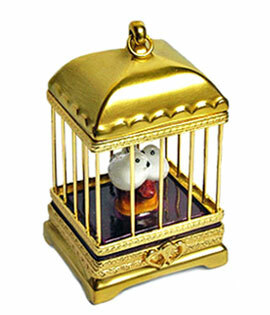 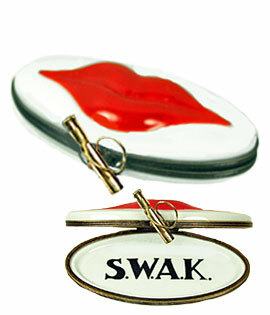 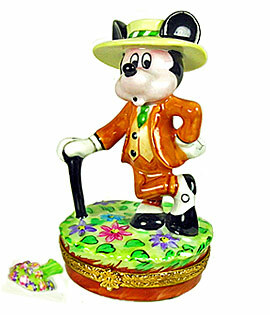 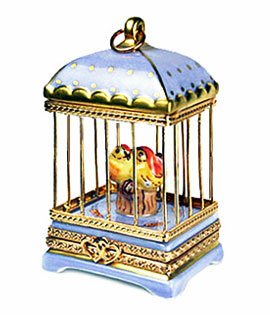 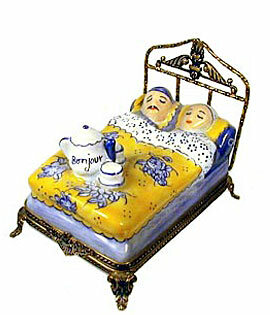 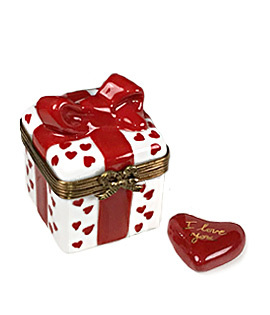 Our extensive selection ranges from the sentimental to the humorous, to suit your Sweetie. 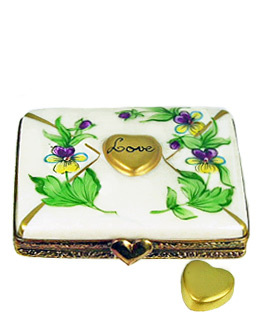 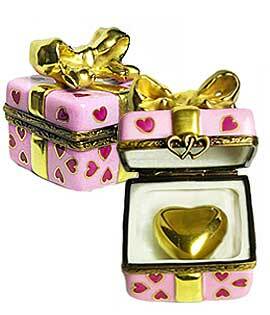 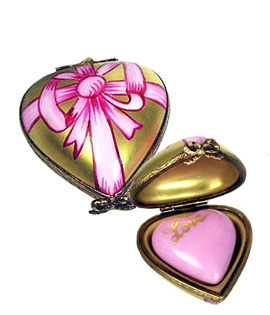 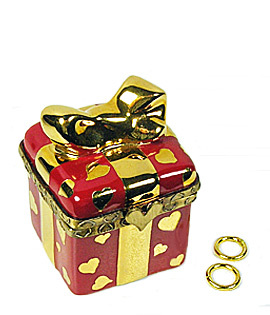 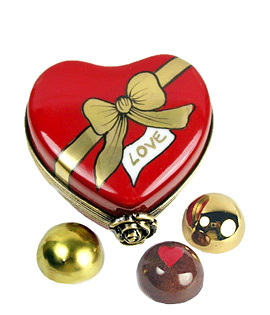 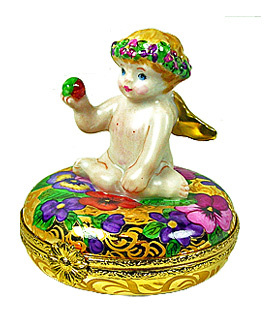 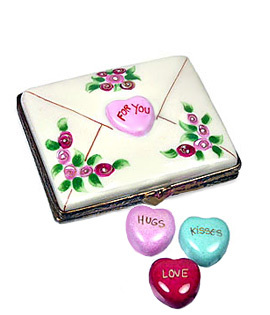 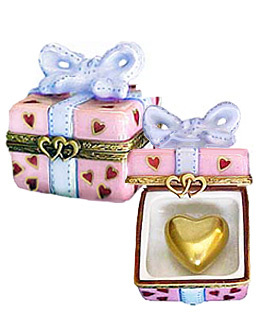 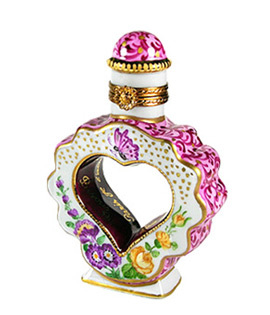 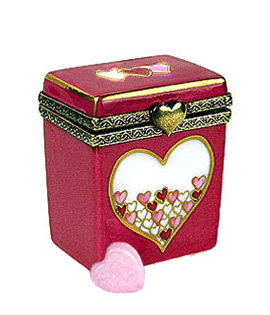 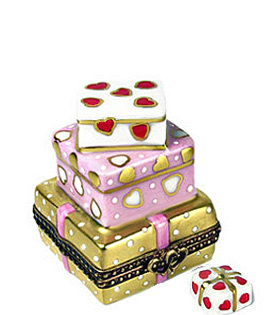 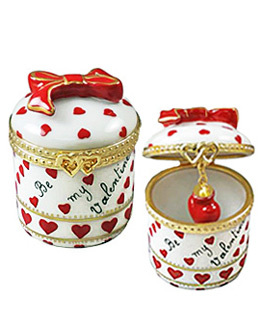 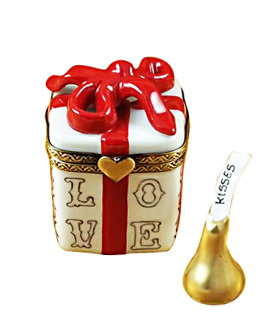 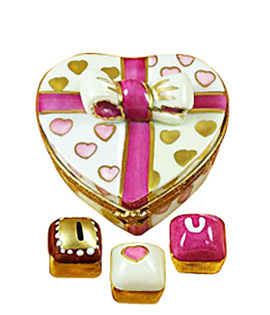 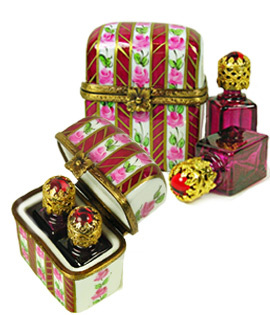 Be sure to also check related themes such as Hearts or Flowers for additional Limoges box ideas to express your loving sentiments, or to add to your collection. 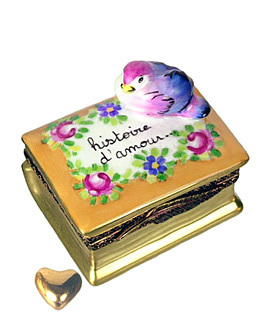 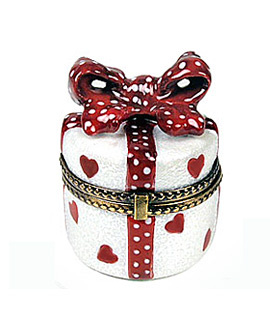 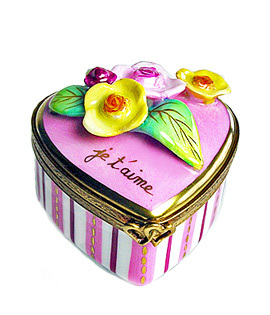 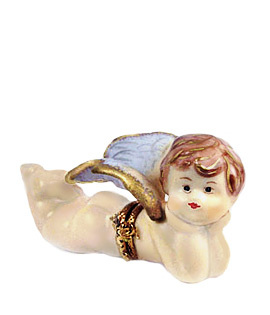 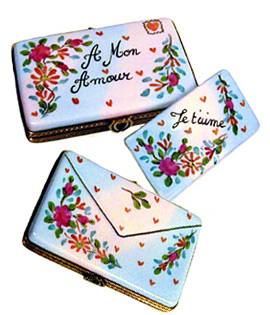 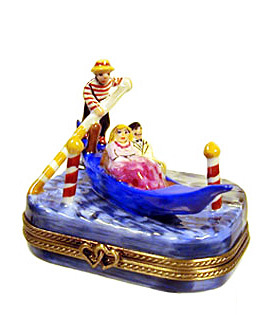 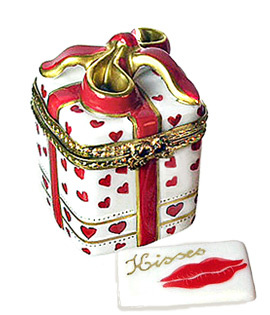 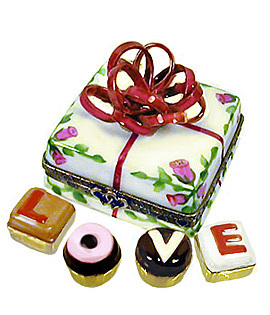 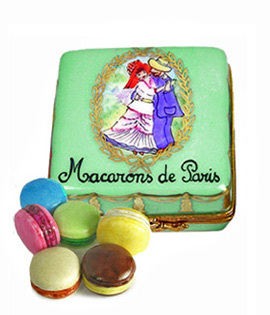 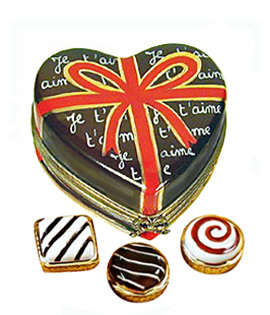 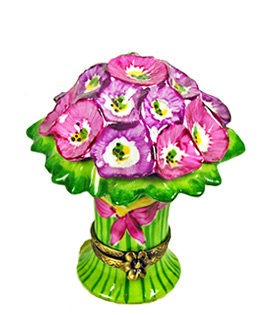 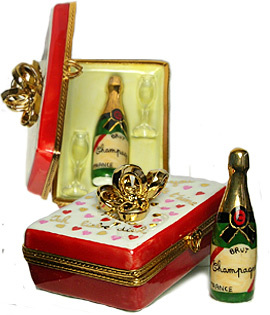 By using our menu or site search, you'll discover still more ideas for the perfect Limoges box Valentine's gift, all hand painted from the finest porcelain studios in Limoges, France. 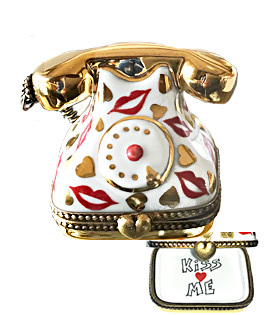 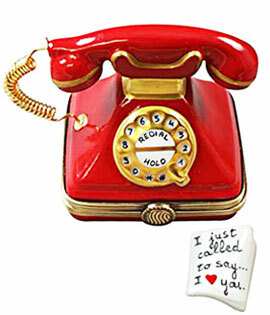 Red Phone Limoges Box + Note --"Just Called to Say I Love You"